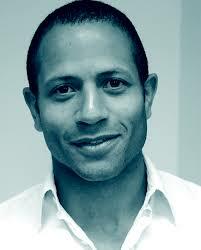 I was born in Germany, the son of a Nigerian mother and English father, and I grew up in the UK. After graduating from the University of Edinburgh, I roamed the world, stopping to live in Egypt, Lesotho, Colombia, England, Italy, and the United States. I made a living mainly by teaching English as a Foreign Language. In Lesotho I ran a school theater and did some work for the anti-apartheid movement in neighboring South Africa, which marked something of an awakening for me. I didn’t own stuff like cars and houses until I was well into my thirties because I spent all my money on travel and books. To date, I’ve been to about seventy countries, and have about ten zillion books, half of which I still haven’t read. My novel, Damnificados, was published by PM Press in January 2016. It has since won the Hurston/Wright Legacy Award for Debut Fiction, the Independent Publishers Book Award, and the New Mexico-Arizona Book Award; been a finalist for the Foreword INDIES Book Award and the Eric Hoffer Book Award; been nominated for an American Book Award; and been on Oprah’s Top 10 Books to Read Now List. In the late nineties, under the name JJ Wilson, I co-authored my first non-fiction book – Language to Go – with my friend and colleague Antonia Clare. Since then I have written over twenty, mainly about language learning and teaching. These were published by Longman (later Pearson). 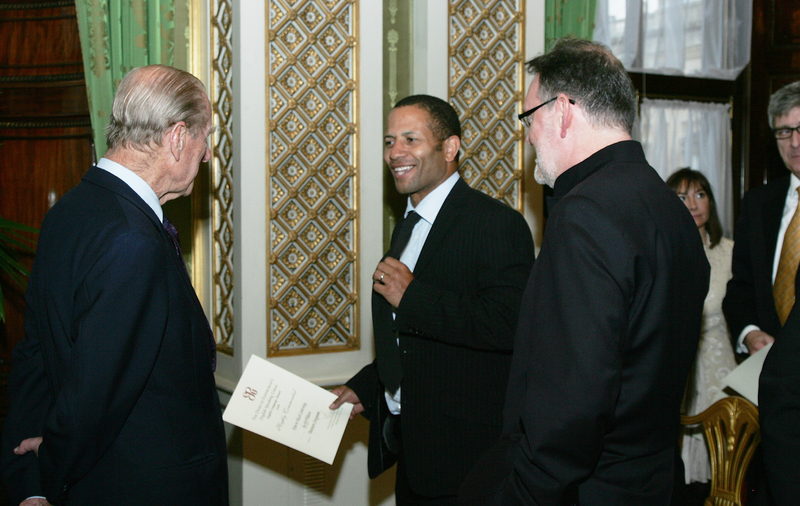 For two of my educational books I was honored at Buckingham Palace in 2008 and 2011. I have given presentations, plenaries, and workshops in Algeria, Argentina, Australia, Brazil, Chile, China, Colombia, Costa Rica, Czech Republic, Ecuador, El Salvador, Guatemala, Honduras, Italy, Lesotho, Malta, Mexico, Nicaragua, Panama, Peru, Poland, Spain, Switzerland, Turkey, Ukraine, United Kingdom, United States, and Venezuela. I am currently the Writer-in-residence at Western New Mexico University, and I also teach on Stonecoast’s MFA in Creative Writing program at the University of Southern Maine. I am the Chair and a founding member of the Southwest Festival of the Written Word and I co-host, along with Elise Stuart, the radio program Use Your Words: Writers Speak. I also review fiction for The New York Journal of Books. I live in Silver City, New Mexico, USA, with my wife and son. 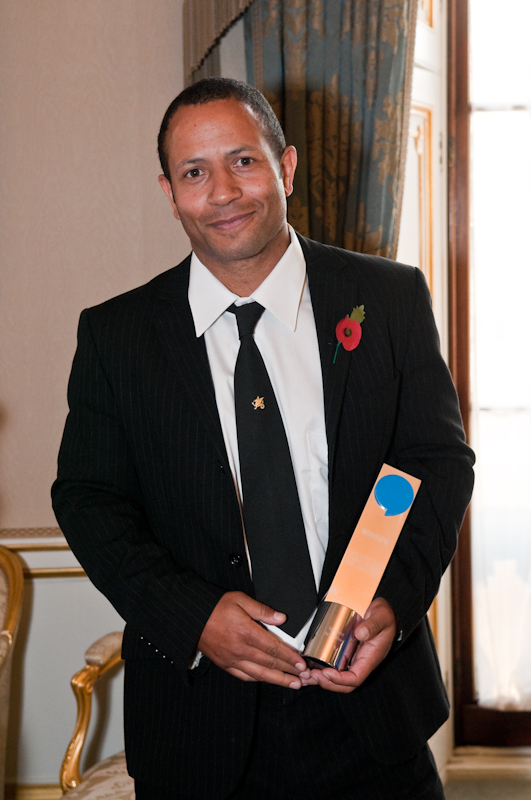 Receiving an award for Speakout in Buckingham Palace, 2011. My co-authors were Antonia Clare, Frances Eales, and Steve Oakes. 2017 Damnificados won the Hurston/Wright Legacy Award for Debut Fiction and was a finalist for the Eric Hoffer Book Award. 2017 Damnificados won the Independent Publisher Book Award for Multicultural Fiction. 2017 Damnificados was named a finalist for the Foreword INDIES Book of the Year Award for Literary Fiction and nominated for an American Book Award. 2016 Damnificados won the New Mexico-Arizona Book Award for Fiction; was named on a Top Ten Picks list in ‘O’, The Oprah Winfrey Magazine; and was named no. 1 on Bookriot’s ‘Books to Read in January’ list. 2016 I was named an honorary member of Delta Mu Delta. 2014 I was named a member of the Academy of American Poets. 2013 I was named a New Mexico Humanities Council Scholar. 2012 Speakout was shortlisted for the British Council Innovation in ELT Award. 2011 Speakout won the Duke of Edinburgh English Speaking Union Award for Best Book. 2010 I was appointed writer-in-residence at Western New Mexico University, USA. 2008 How to Teach Listening won the Duke of Edinburgh English Speaking Union Award Best Book for Teachers. 2008 How to Teach Listening was shortlisted for the Ben Warren Prize. JJ, thanks so much for taking a deep geography look at Melange Block. My pleasure, Denise. It’s a terrific collection. I hope it gets the audience it deserves. wow, JJ thanks for sharing such a beautiful story. Thank you, Priscila, for reading this and for sharing it! Hi. I am a Yazigi School Franchisee( Pearson) and attended your lectures with my team of teachers. We are all impressed. I need to ask you something. Can you give me your e-mail address? You are such an inspiration to me and all the guys who played rugby with you, it was a pleasure to have met you, best regards from Mexico. Jesus, thank you so much for this comment! Actually, you guys inspire me. It was great to spend time with you all, and I hope we get the chance to do it again. I enjoyed attending your plenary sessions in Oran, Algeria, at British Council ELT conference. Respect ! Thank you, Hannachi. I loved the conference, too, especially meeting so many wonderful teachers! I was so happy to attend your plenary sessions in Oran, Algeria, at British Council ELT conference.! I will try to imitate what you had done with my students cause I want to improve their english learning.So big Thank you sir.Respect! Thank you, Mohamed! I appreciate it! I had a great time meeting the teachers in Oran. Hope to see you again in Algeria. I hope so, too, Mohamed. Thanks for visiting my blog! I was very delighted to attend your final plenary session in the third International Conference in Oran ,Algeria.Thanks a lot. Thank you, Makhlouf. It was a fantastic conference and I really enjoyed meeting the teachers. A great introduction to Algeria! Dear JJ, thanks again for your availability last Sunday! My TV segment on the Brooklyn Book Festival will air tomorrow (Thursday, Sept. 22nd, on BRIC TV in the context of BK Live from 12 to 1pm. You are in it! Thanks, Filippo! I love BRIC TV! I’ve only just read your blog, and being a bit of a Luddite, only just learning about blogs etc and trying to set one up myself, I’m not even sure how to contact you. I’m Senior Research Associate at UCL-IoE and Associate Lecturer at the Open Uni, and would like to talk to you about writing a chapter for an edited collection. Hi, Maureen. You can contact me at jjawilson@hotmail.com. Congratulations on the success of Damnificados. I just listened to your talk at Southwest Writers. Very inspiring. Thank you! It’s very kind of you to say so! Thank you, María! Hope you like the book!